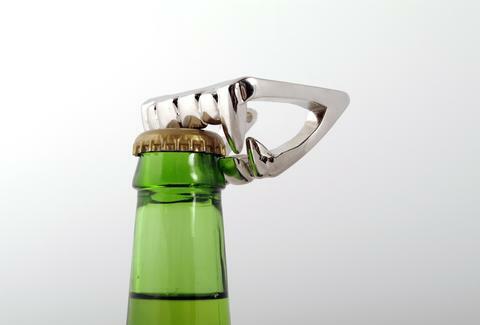 You'd probably agree that the time you tried to open a beer bottle with your teeth wasn't worth the pain, or the cost of the dental bills. 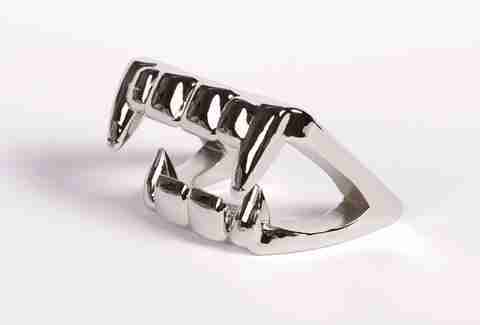 Luckily, GAMAGO brings you this bottle opener shaped like a shiny set of vampire teeth, which is sure to spare you some embarrassment. It comes with a key ring so you can keep it with you at all times, ever-ready to whip it out and impress those cute, pale, vampire-obsessed, Twlight-fanatic ladies.